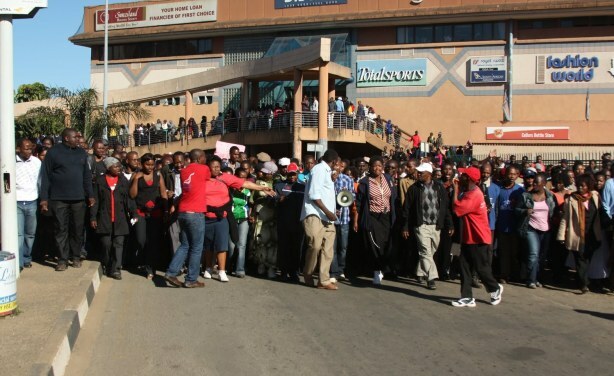 The general secretary of the Trade Union Congress of Swaziland has said that members will protest Minister of Labor and Social Security Winnie Magagula's appearance before parliament over the country's removal from the African Growth and Opportunity Act,. Teachers and other workers protested in Swaziland , appealing for an international asset freeze against King Mswati III (file photo). Africa: Is Africa's Future in Trade or Aid?